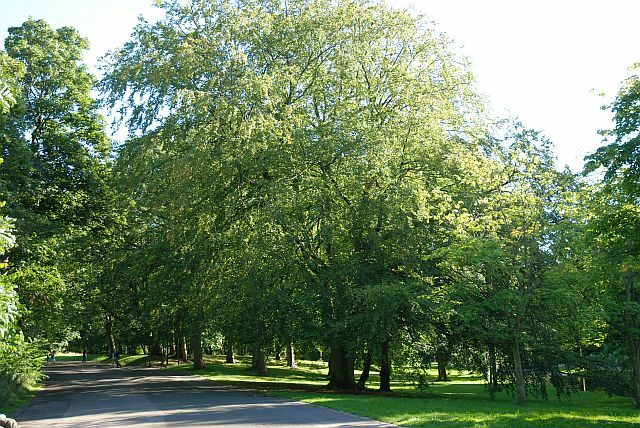 This is the time of year when the morning dog walk in Sefton Park is accompanied by the loud drumming of the Great Spotted Woodpecker. It’s a handsome bird when you catch a glimpse of it, either clinging to a tree trunk or flying from tree to tree in a flash of black, white and red. This morning I heard a commotion in the branches above me and saw something quite remarkable. 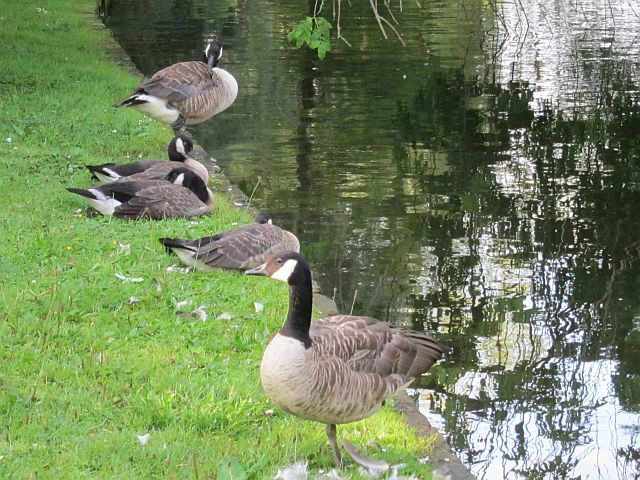 Since the 1950’s these birds have become increasingly common in parks and gardens throughout Britain. Once you have spotted one, they are easy to identify, being predominantly black and white, with a patch of red at the base of the body. You can distinguish males from females because the adult male has a small red patch on its head (juvenile birds exhibit a larger red patch that later disappears). But in spring their presence is usually betrayed by the sound of their drumming. Although many people assume that they’re hearing the sound of a nest being drilled, that may not be the case, at least early in the season. 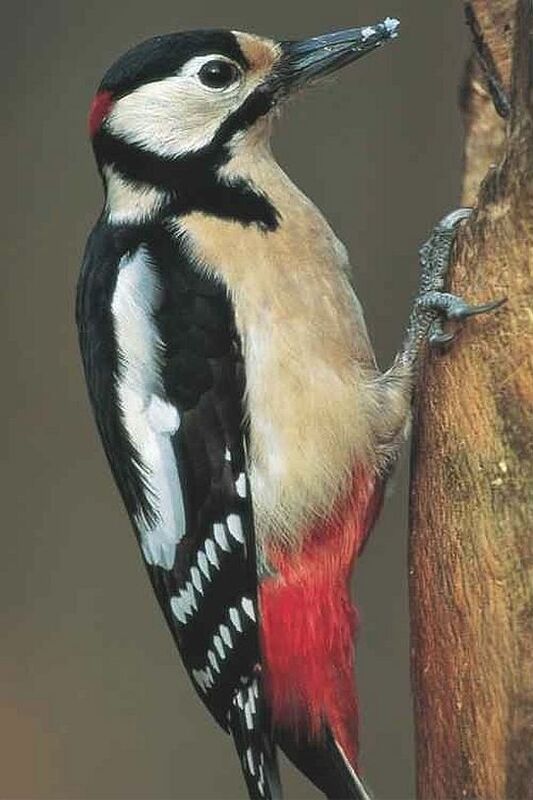 In February, before the onset of the breeding season, the male woodpecker drums to signal for a mate. 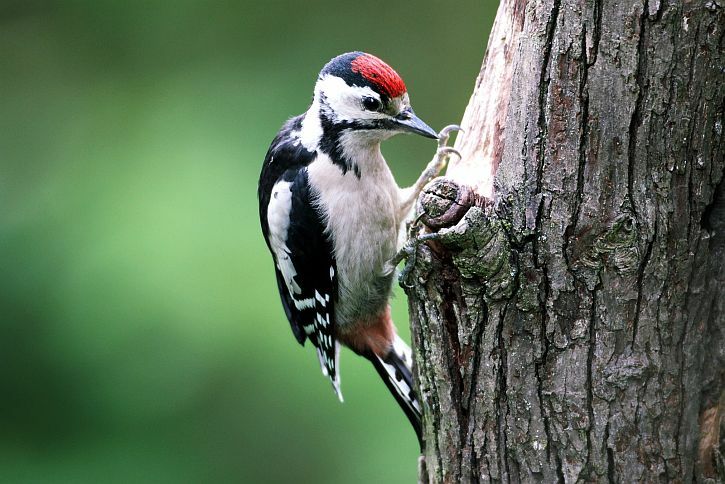 Selecting a hollow tree or dead branch with promising resonant qualities, he taps rapidly on the bark with his bill, making a rattle-like drum roll that is startlingly loud and carries for a considerable distance through woodland. Males not only drum in order to attract a mate – throughout the year they will continue to drum to proclaim their territory. Each male has his own drumming sequence and stops to listen to the replies of males nearby. Hitting a solid tree with your beak so hard that splinters fly ought to cause the brain to rotate in the way that causes concussion in Man. Not a bit of it. The evolution of the bird’s drilling equipment has provided very sophisticated shock absorbing adaptations involving the way that the bird’s beak joins the skull. The stresses are transmitted directly towards the centre of the brain and do not cause the knockout swirl. The beak is used like a combined hammer and chisel to drill into trees and branches and carve out deep nest holes. When woodpeckers hammer into wood to get at grubs they also have another anatomical adaptation designed to help them feed. The roots of their tongues are coiled round the back of their skulls and can be extended a prodigious distance to harpoon insect larvae in their tunnels. Once a couple have paired off, the nesting hole, neat and round, is bored in soft or decaying wood horizontally for a few inches, then perpendicularly down. At the bottom of a shaft, usually from six to twelve inches in depth, a small chamber is excavated and lined with wood chips. The female lays up to seven glossy-white eggs in the dark chamber, each parent taking turns to incubate the clutch and later feed the greyish, red-capped fledglings. The young leave after three weeks. The nest hole is rarely used again, though other holes are often bored in the same tree. What I saw this morning, alerted by a commotion in the branches above, was the sight of two males skirmishing outside a freshly-bored hole. I stood and watched for several minutes as they went at it with a fair amount of ferocity. I assume that what I was seeing was one male attempting to take over the freshly-chiselled hole of the other. But has a nose of steel. How do his eyes stay in? In terrors and in pains. On our doorstep: the treasure that is Sefton Park. 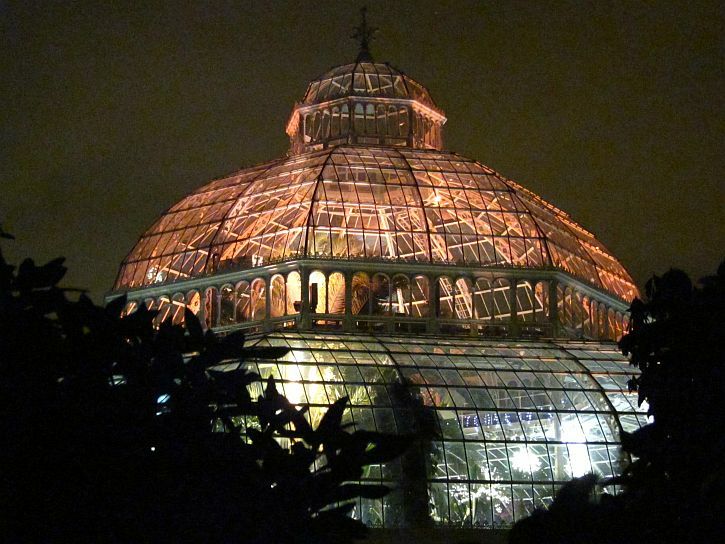 At its heart: the jewel, the Palm House. Twice a day dog and I loop around this beautiful building. In the weeks around Christmas the filigree dome is illuminated with coloured light, and the interior decorated with seasonal lights. 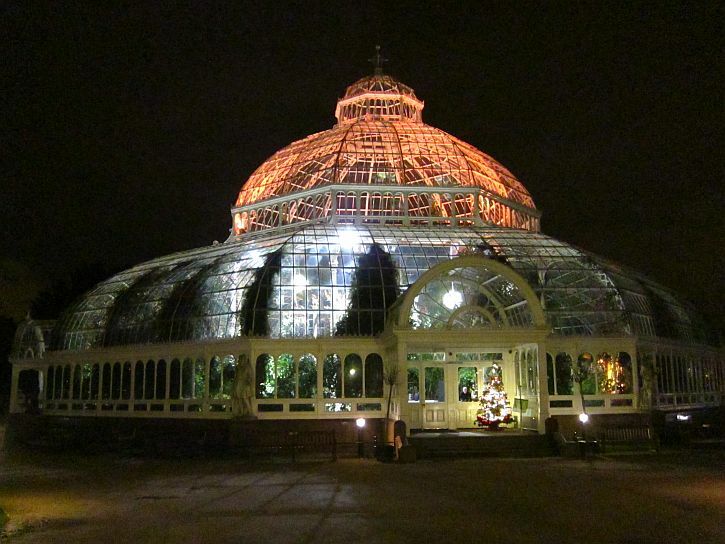 Completed in 1896, Sefton Park Palm House was a gift to Liverpool by Henry Yates Thompson, whose grand uncle was Richard Vaughan Yates who donated the land for Prince’s Park to Liverpool (the Yates were a wealthy family of merchants and lawyers, Unitarians, social reformers and prominent in the anti-slavery movement). The Palm House is one of the country’s largest Victorian greenhouses and was designed in the tradition of Paxton’s glass houses and was stocked originally with a rich collection of exotic plants. There are nine marble statues on display inside, together with a marble bench. On plinths around the outside there are a further 8 bronze and marble statues of famous explorers and naturalists. In June 1992, a public meeting was held to protest the dereliction and calling for restoration. A petition of 5,000 names was presented to the City Council by what had become the Save the Palm House campaign. A fund raising campaign was established, with a ‘sponsor a pane’ programme, generating over £35,000. 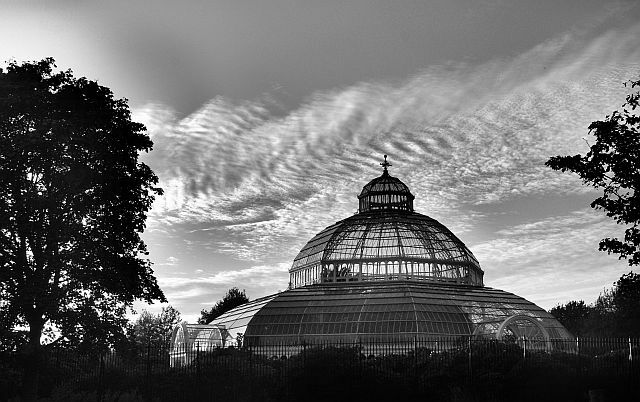 Eventually, the Save the Palm House campaign evolved into a registered charity, Friends of Sefton Park Palm House that is now the Sefton Park Palm House Preservation Trust. A £2.5m lottery-funded refurbishment programme saw the building finally restored to its former glory and the building is now open to the public on most days, as well as being used for many other functions (it’s especially popular for weddings). A specially constructed performance area means that the building can be used to host concerts and performances (such as this one, with Eduardo Niebla, the brilliant guitarist from Andalucia). 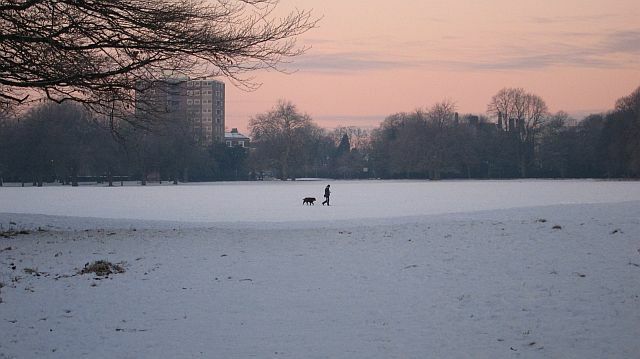 So – Merry Christmas from Sefton Park, Liverpool! 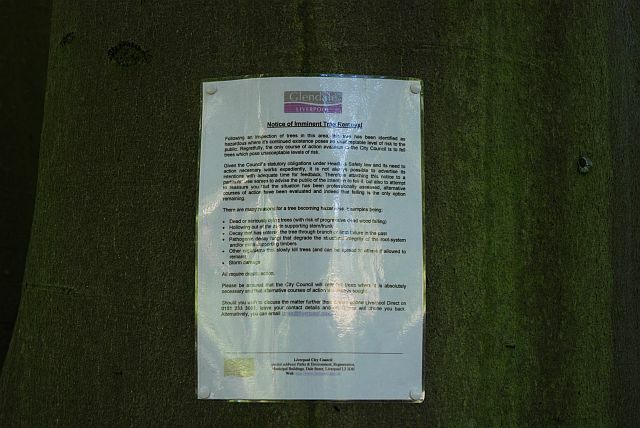 Back in September, in Sefton Park on the trunk of a spreading beech tree I pass every day walking our dog, a notice appeared. 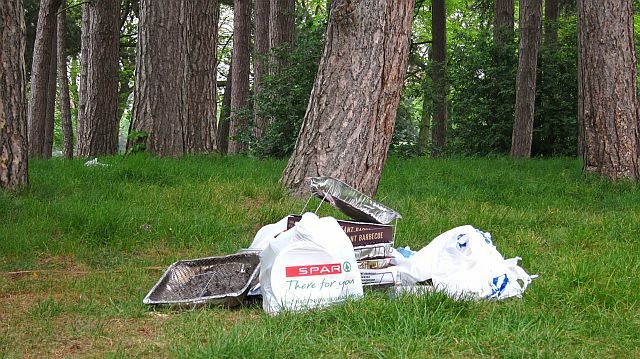 Following an inspection of trees in the park, it stated, this tree had been identified as hazardous, its continued existence posing an unacceptable threat to the public. 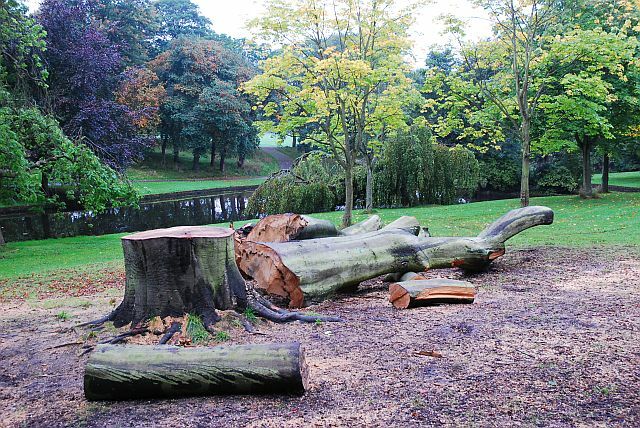 Urgent and drastic action was required and the tree would be felled within days. It’s always sad to come across a tree laid, low in a winter storm maybe, that has fallen under its own weight or weakened by old age. But to see a fine tree condemned to death in hours is a sad thing indeed. 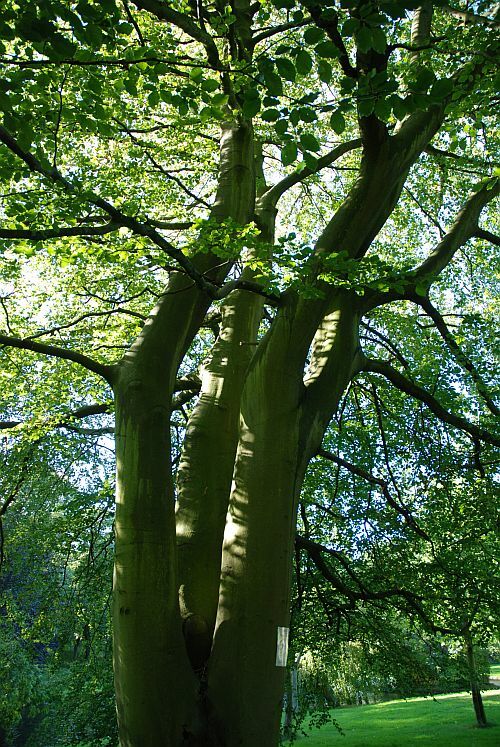 Enquiries suggested that the beech had become hazardous as a result of infection spreading through the root system. 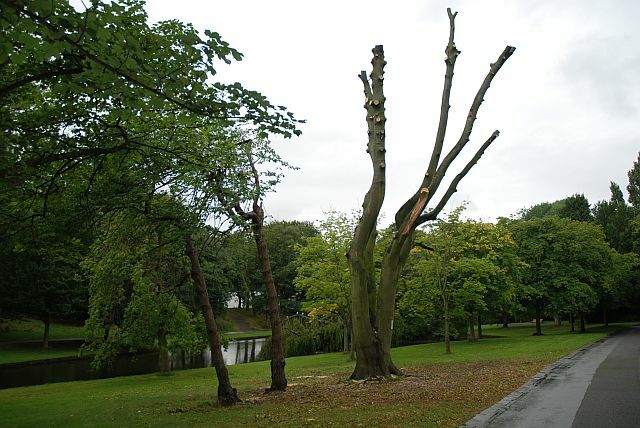 Two days later the process of felling the tree began: all the major limbs and branches were removed, and the tree remained for several more days, reduced to a bare, leafless skeletal trunk. Then, finally, one morning’s walk revealed the end: the trunk felled and sliced up into heavy sections. Nothing is holier, nothing is more exemplary than a beautiful, strong tree. When a tree is cut down and reveals its naked death-wound to the sun, one can read its whole history in the luminous, inscribed disk of its trunk: in the rings of its years, its scars, all the struggle, all the suffering, all the sickness, all the happiness and prosperity stand truly written, the narrow years and the luxurious years, the attacks withstood, the storms endured. And every young farmboy knows that the hardest and noblest wood has the narrowest rings, that high on the mountains and in continuing danger the most indestructible, the strongest, the ideal trees grow. Last month Seamus Heaney died, so some of his poetry was fresh in my mind. His 1987 collection, The Haw Lantern, includes a sequence, ‘Clearances’, in memory of his mother. In his collection of essays, The Government of the Tongue, Heaney discussed this poem, of how it was inspired by a chestnut tree his aunt planted in her yard the same year he was born. 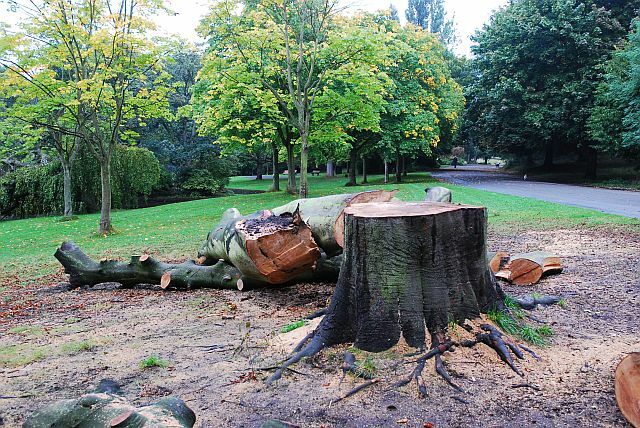 Through all his years of growing, he identified with the tree and felt a deep sense of loss years later when he heard that the family that had moved into his aunt’s house after her had cut it down. Writing about his mother’s death in ‘Clearances’, the memory of the tree returned, or rather he wrote, ‘the space where it had been’ did: ‘a kind of luminous emptiness, a warp and waver of light’. Writing about the death of his mother, that ‘luminous emptiness’ became a symbol of ‘preparing to be unrooted, to be spirited away into some transparent, yet indigenous afterlife’. 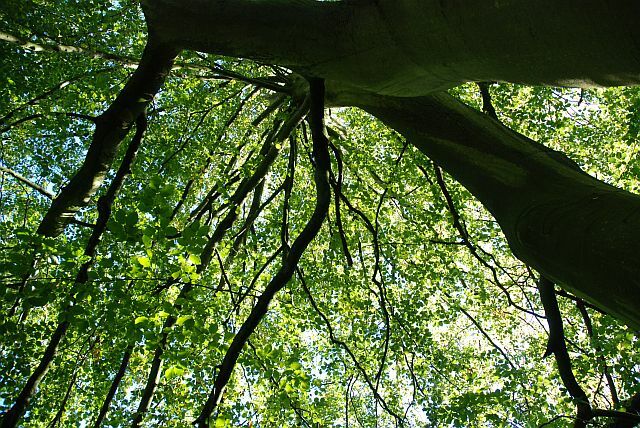 It was Heaney’s expression – ‘a luminous emptiness’ – that came into my mind as I took in the space opened up by the absence of the beech tree. In our front hedge among the wallflowers. 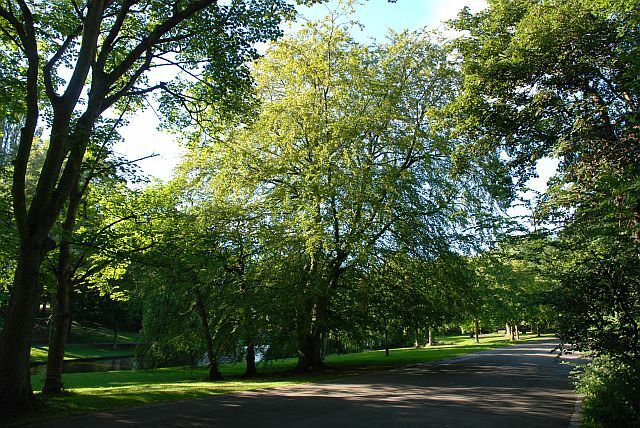 Good news yesterday that Sefton Park has given Grade 1 listed status by English Heritage. The 235-acre site is regarded as a prime example of the municipal parks created in British industrial cities in the19th century. English Heritage said that the park had been listed because it had remained essentially unchanged from its original layout and was one of the first to introduce French park design to England. It was built by Liverpool City Council and opened in 1872. Sefton Park was designed by Liverpool architect Lewis Hornblower and landscape architect Édouard André who also worked on parks in Paris. 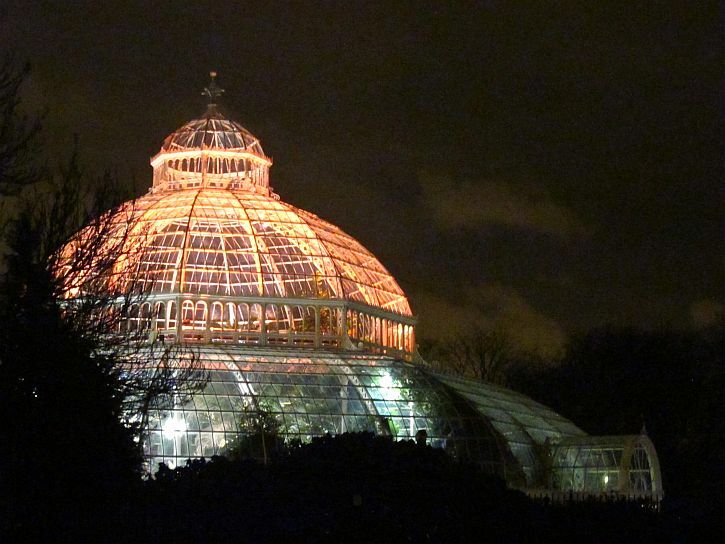 The park also features the grade II* listed Palm House, erected in 1896. Most days of the year dog-walking duties mean two circumnavigations of the park, and with every circuit I give thanks to the vision of city councillors who, in 1867, voted in favour of the Council borrowing £250,000 to purchase 375 acres of land for the development of the park from the Earl of Sefton. Some at the time thought the outlay was extravagant and wasteful. but what won the day was the case for clean, fresh open spaces where those who lived out their lives in narrow streets and courts that lacked sanitation or running water could walk and breathe freely. So land that had once formed part of the Royal Deer Park of Toxteth did not disappear beneath the streets and houses of the expanding city. 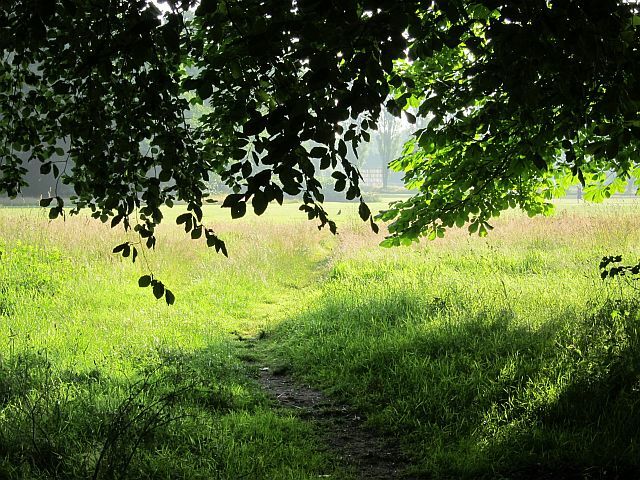 The open fields and the winding courses of the Upper Brook and the Lower Brook that I walk each day remained, a miraculously-preserved landscape of meadows and woodland that might easily have disappeared. A pleasing aspect of Sefton Park is that, although its overall plan is formal, there are many parts where (both as deliberate policy to encourage wildlife and, I suspect, due to spending cuts and reduced staffing) it has been left to grow wild, so you can walk through glades and along paths that feel like open countryside. Each morning, joining the confederacy of dog walkers, I have enjoyed hearing birdsong and watching birds and animals for whom the park is home. Each spring we watch families of swans, geese, coots and moor-hens as they grow; the small but noisome flock of bright green parakeets seems to have grown through the years, too. 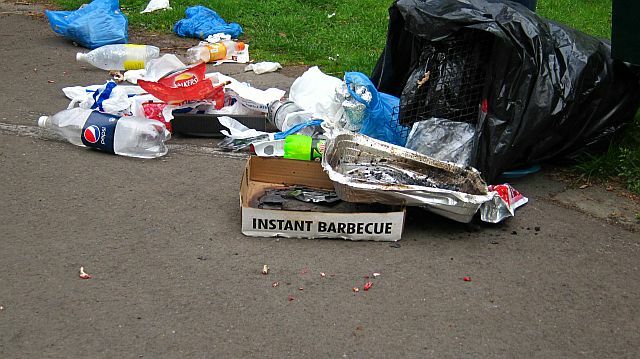 On summer mornings, after barbecues, we marvel at the ingenuity of crows and foxes that have scavenged the rubbish left behind by picnickers to leave it strewn across paths and borders (marvel, too, at the ignorance, of humans who leave their detritus where they sat, making no effort to bin it or take it home). But, miraculously, the park recovers. At the end of August, tens of thousands poured into the park for the first Liverpool International Music Festival – an event organized so efficiently that 24 hours later the park was immaculate, without trace of rubbish. At the turn of the millennium, the park was in a sorry state: the waterways had all but dried up, and the lake too. The cafe was shoddy and dilapidated, and the bandstand paint was peeling. 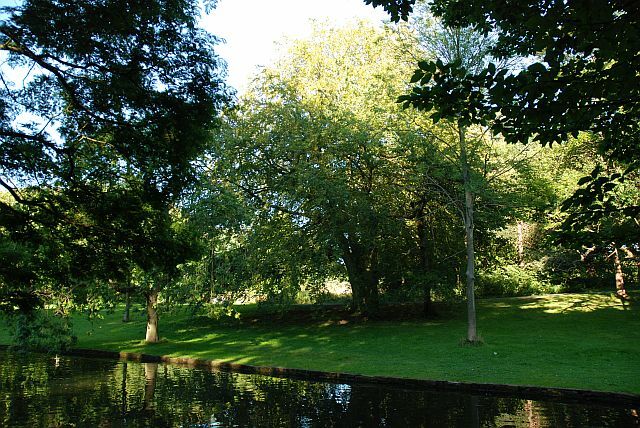 But the park underwent a £7m restoration in 2005 which included a refurbishment of the watercourses, the renovation of rockeries, a new play area and the restoration of monuments. In 2009, I wrote about the improvements, and added a little bit of park history. Now the park – with its statues and beautiful Victorian buildings such as the bandstand and palm house – is restored to its former glory. To celebrate its new status as grade 1 listed, I’ve put together photos I’ve taken over the years in the park, images that present Sefton Park through the seasons. We are so fortunate to have this space to breathe right on our doorstep.